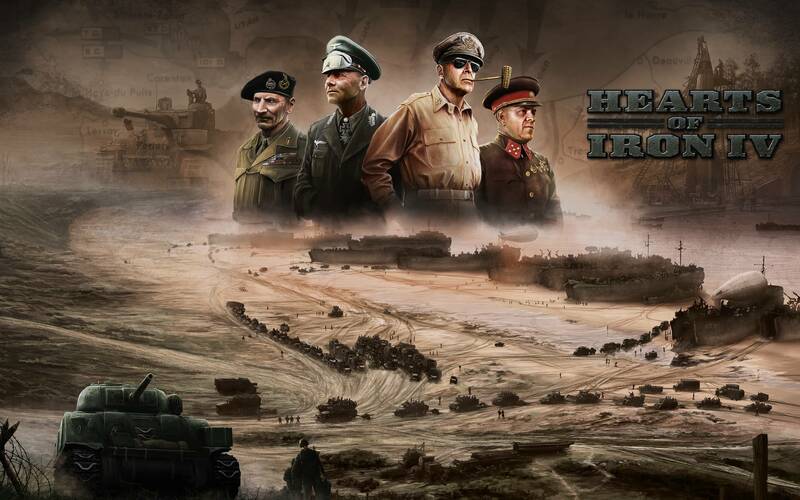 The Hearts of Iron (HOI)series is one of the best historical strategic WW2 games on a global level ever made. You can choice every country in the world to play with. You are in control off all the assets which are important to the countries war effort: armed forces, research, production, diplomacy and government. 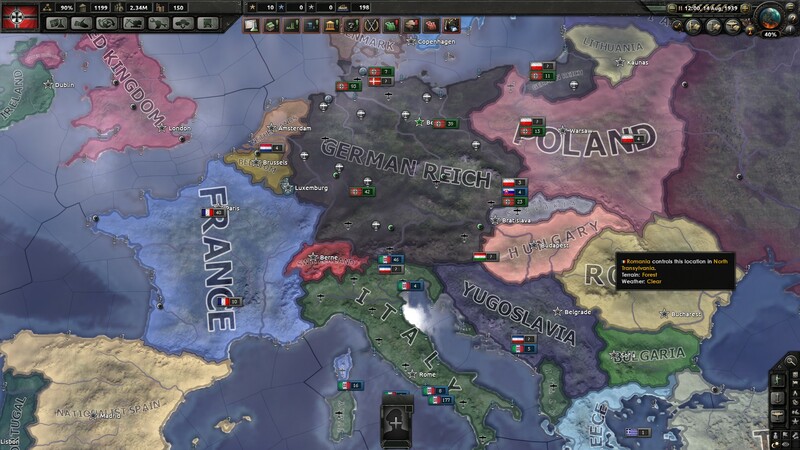 This game really gives the feeling that you are in control of everything that is important for a nation to win (or lose) World War II. 1Noble a.o., Western Civilization, the continuing experiment, volume C since 1789 (Boston, 2005)940. 2 Jeremy Black, Introduction to Global Military History, 1775 tot present day (Abingdon, 2009)103-153. These kind of games (strategy) aren’t famous for their graphical appearance. Still the graphics of HOI 4 provide a nice atmosphere. Military units are simplified but do have resemblance with the units they have to symbolize. The full colour drawings which you see at the loading screen and in the menu are very nice and based on WW2 events. That’s the good part of HOI4, it has so many parameters! See for example the parameters for units in the screenshot below. I doubt whether all these parameters are historically correct but it obviously has been given a lot of thought and it feels authentic. All these parameters do make a difference on the battlefield! There are a lot of historical figures in the game. Most of them are historically correct. 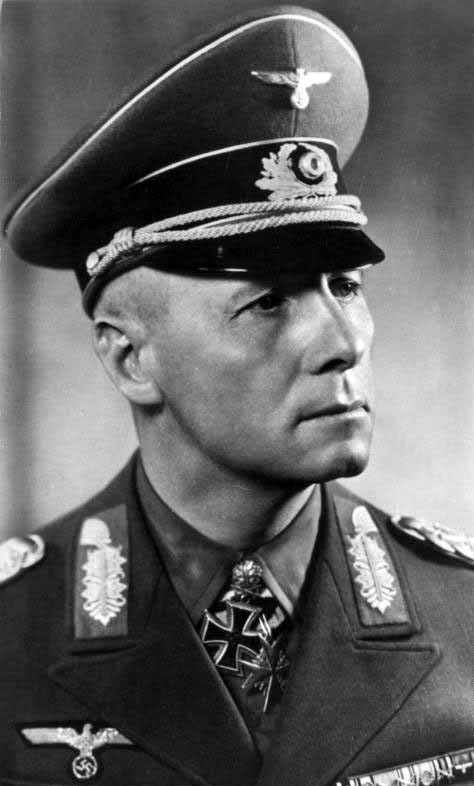 So generals, admirals and politicians are all of the WW2 era. Every country got its own. They come with small pictures/drawings of the faces of real existed men. Also some characters have skills like general Rommel being a tank expert, which obviously seems to be historically correct. Especially the soundtrack is noteworthy. 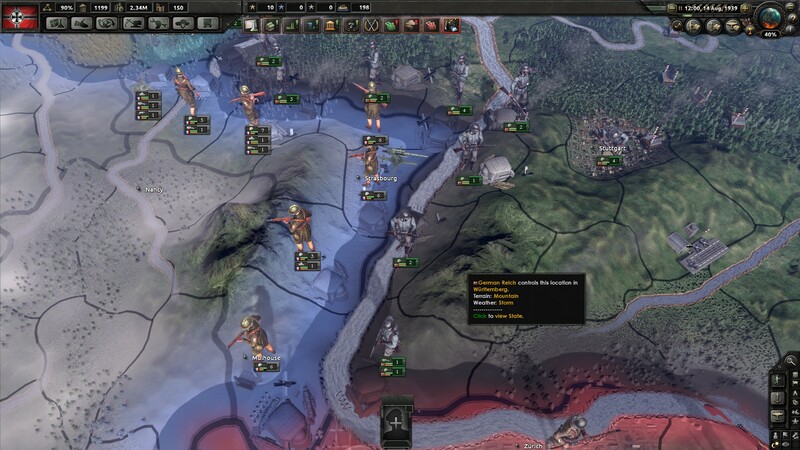 The music is Axis, Allied and Comintern inspired and does enhance the historical atmosphere. It is orchestra music which was listened a lot in WWII. Sounds in game are a bit meagre but you hear different sounds when clicking units for example. Not authentic. The player absolutely rules over his country. You make decisions on research, diplomacy, trade, construction, production, recruit-and deployment, logistics and of course all the decision on the military down to division level as a supreme commander of all armed forces. You are the true dictator! Or imagine yourself representing parliament… It is off course a bit too much playing god here in comparison to reality. But that doesn’t mean that everything is possible. You can’t declare war just like that, you need to justify a war goal for example. If national unity is to low you might face rebellions! 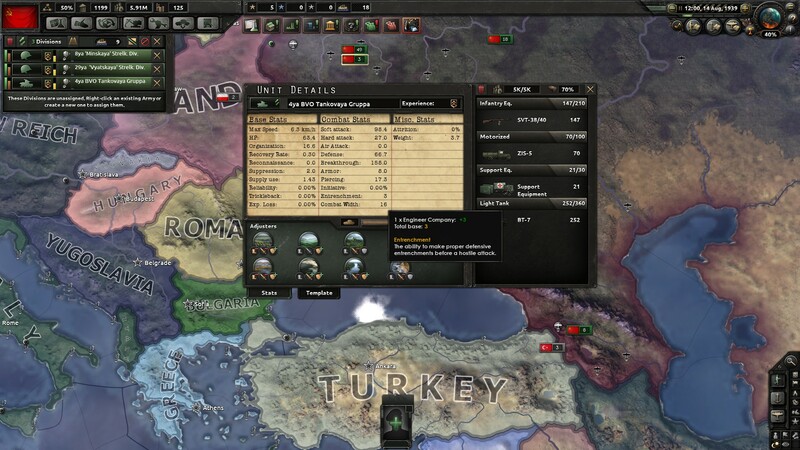 Divisions can be appointed to generals which can be given orders like forming a frontline for example. 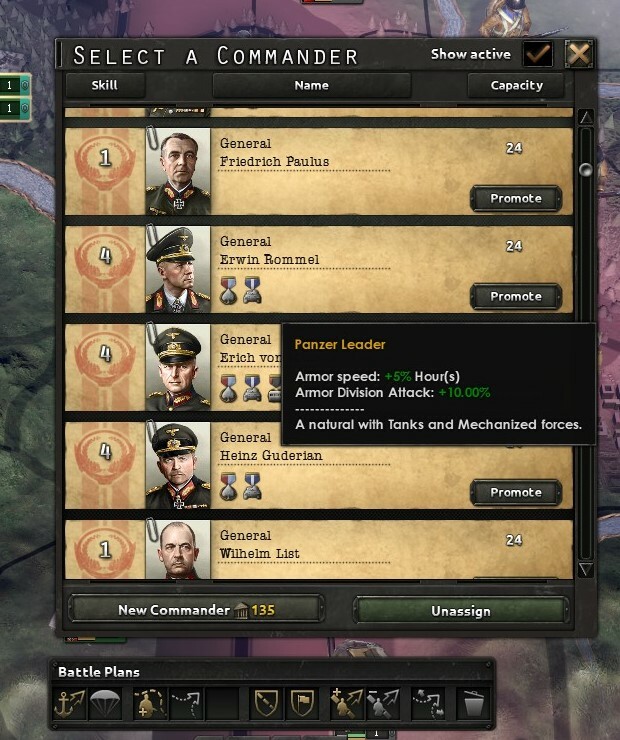 These orders to generals who have been appointed divisions is a new aspect of HOI4. The game mechanism is setup in a way that the player can make all the strategic decisions which are important to the war effort. 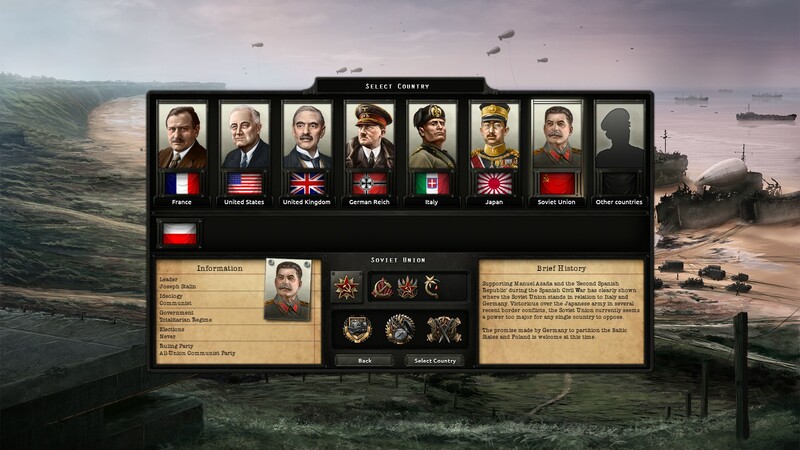 The decisions to make feel authentic and by that you get the feeling that you are replaying WWII on the grand strategy level! Black, Jeremy, Introduction to Global Military History, 1775 tot present day (Abingdon, 2009). Noble a.o., Western Civilization, the continuing experiment, volume C since 1789 (Boston, 2005).